Dr Martens Voss has tons of attitude, toughness and an unmistakable Dr Martens style. Here the Voss womens sandal is crafted with soft, smooth Hydro leather, built on the super-lightweight EVA sole with a ripple tread. For ease of fit and for your comfort this great womens sandal has two buckle straps. The upper and sole are heat-sealed and sewn together, not merely glued like many footwear constructions. 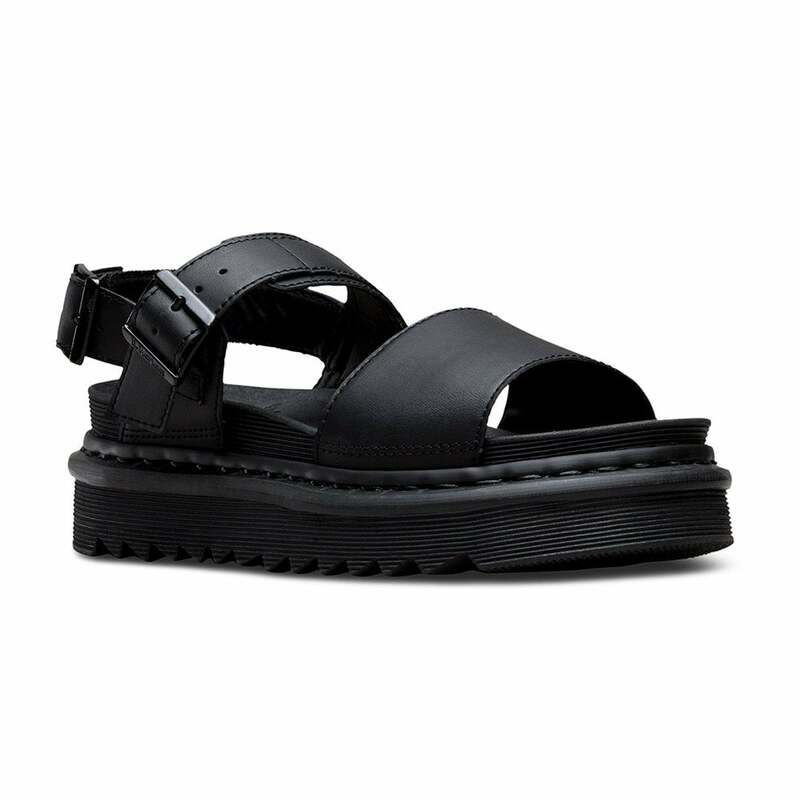 Get your pair of Dr Martens Voss Hydro Womens Leather Sandals at Scorpio Shoes!